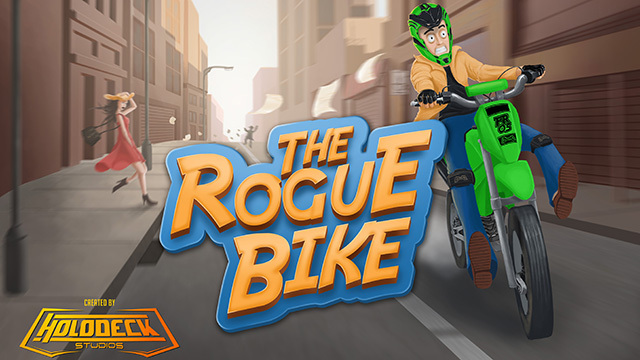 Rogue Bike is a puzzler adventure game where a bike has gone rogue. Meet DASH!! 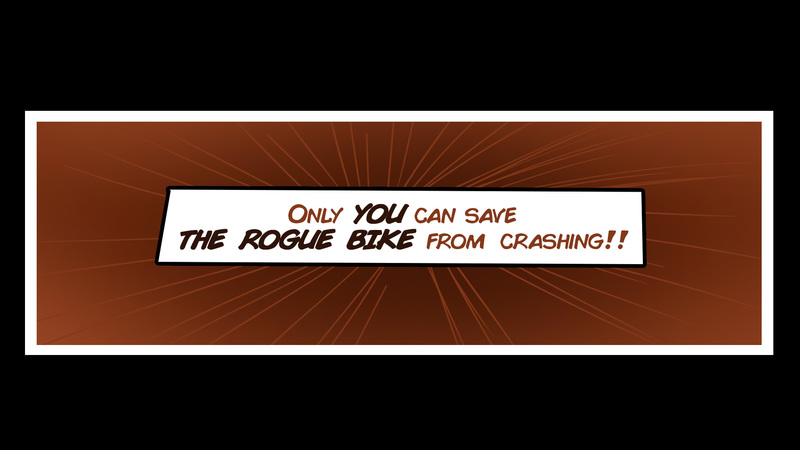 Dash was riding a bike on a beautiful sunny day across his city, and then suddenly somehow his bike has gone rogue. 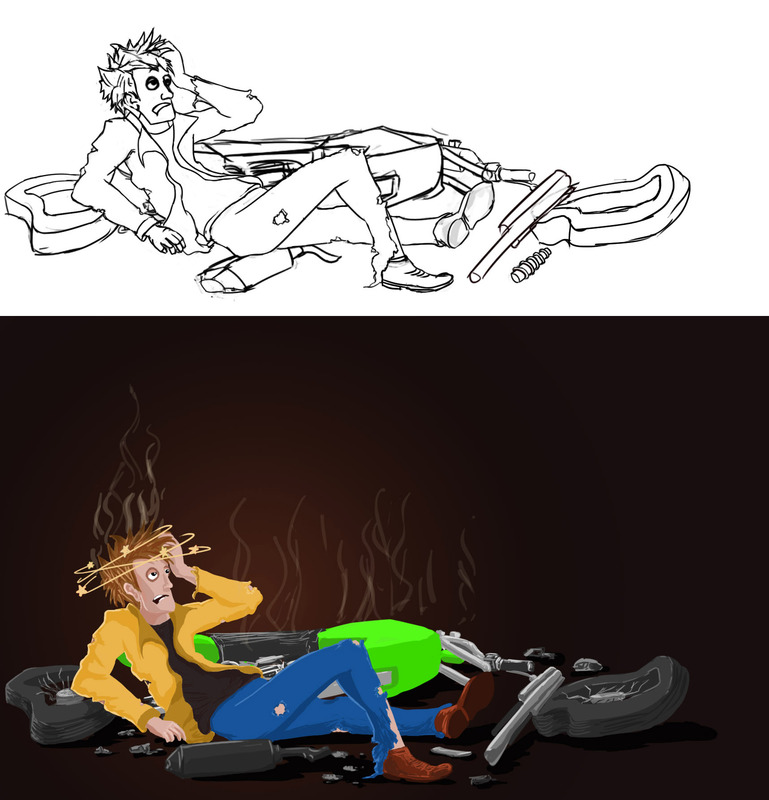 Dash’s only concern is to stop the bike safely without hurting anyone around or himself.One of the approaches we took from the beginning of the game was giving the user the possibility to play around with environment creating safe way for Dash. Also giving the possibility to choose between multiple paths. We believe, this adds a new interesting dimension to the game, as the player will not just have to control environment objects but also have to solve puzzle to make safe way for Dash. 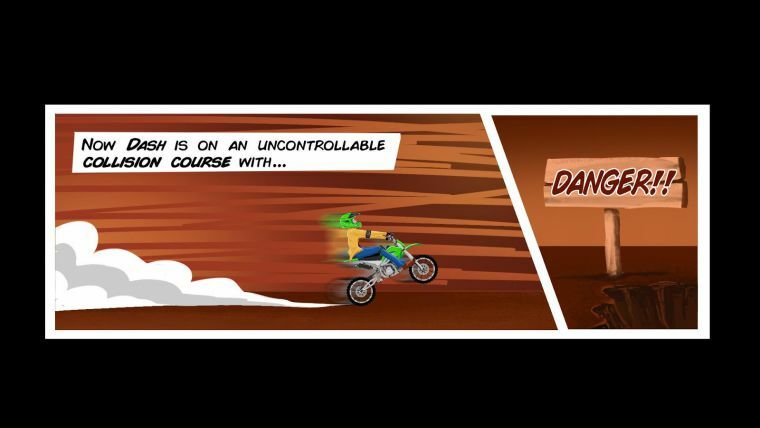 Every action and choice you make directly impacts if Dash lives or dies, and some choices will not have an obvious impact from the beginning but you will realize it as you move ahead.To tell the story in the best possible way and keep the player immersed throughout the whole adventure, we went to great lengths to set up and record better animations and Physics for our game. The process often starts with words on a page based on how the story was written, and then our Game designers refine it. Once those words are interpreted by the creative talents on the team, those scenes get the Art treatment and all throughout the process our talented programming team provides supports either with feature implementation or new tools that make the whole process better and faster. The end goal is creating a unique puzzler-adventure that you all can experience, explore and enjoy. Creating this Game starts by defining the style, atmosphere and intention of the game with concept art like in the image above, then our environment artists start creating the different locations for each world and the designers start populating those locations to bring them to life. Character is the most important part of a game as through their eyes and interactions we will see the story. Below we want to show you the evolution we had from the concept phase until today. Dash is the main character of our game. He is more than he projects, as his actions are the ones that have the most ramifications to what happens to him or others. Now, let’s take a look at how we actually created him. Based on the character’s approved bio, a brief is given to our concept artist to produce different versions of that character and a concept character is created. 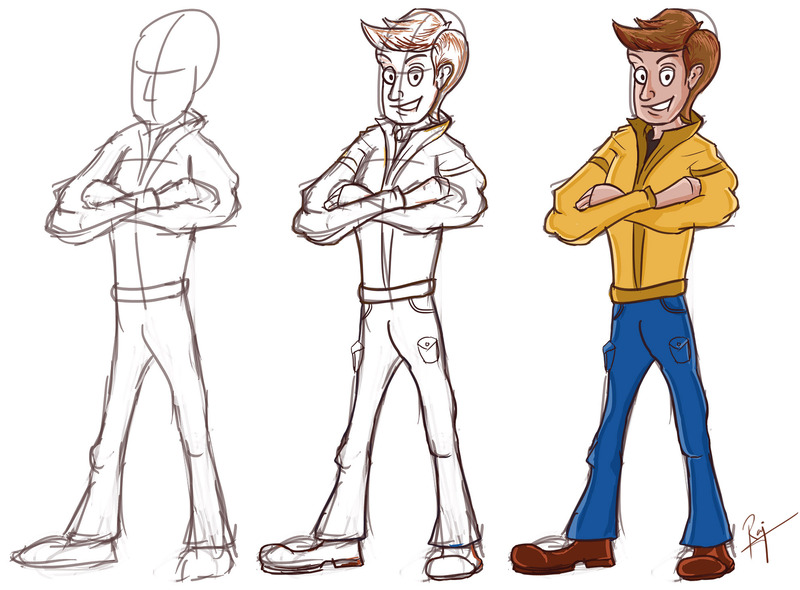 Then we start making different poses of the character once character is finalized. Below are few versions of Dash that were made. We wanted UI of the game which is very simple to understand, just by looking at it. Our Designer first decided on the theme of the UI and then started sketching Layouts of different scenes in the game. The we finalized one and polished it by giving details and trying color filters. 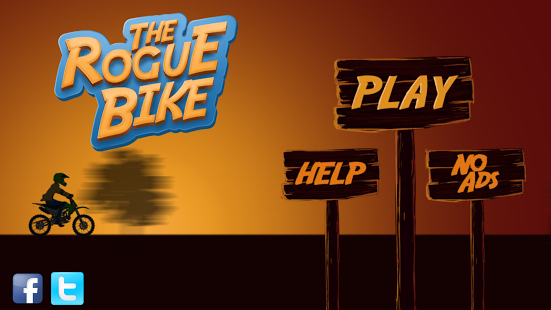 Below is the final Main Menu UI of the Game. 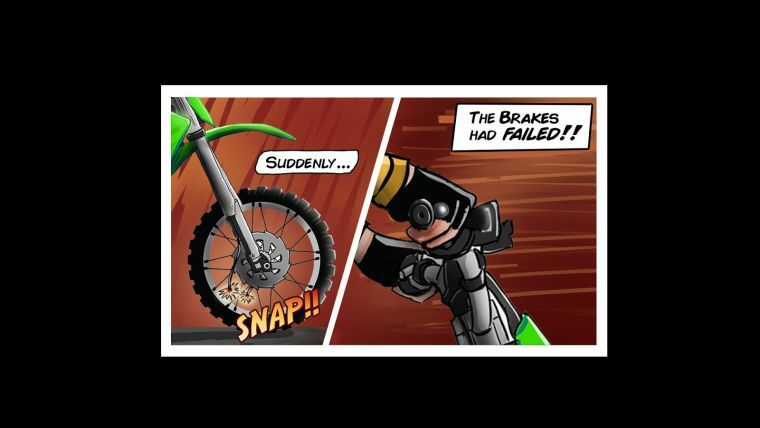 Below is the trailer video for The Rogue Bike. We are currently finalizing world 2 of the game & will be released in July, just after Unite Europe Conference this year and the rest will be released in regular intervals.We hope you enjoyed getting to know a little about our project and how we made our game. We will be coming up with new blog about Physics and Programming soon. Stay Tuned!! You can find us in any of the links below. We are a small team of game developers from Hyderabad committed to building the coolest games. Holodeck Studios began its journey in Hyderabad, India. Holodeck Studios is in the business of gaming. We do game development for Android, IOS, PC, Consoles, VR and AR.